Tristan Yan is a Consultant Cardiothoracic Surgeon, Professor of Cardiovascular and Thoracic Surgery at the Macquarie University Hospital and Clinical Professor of Surgery at the University of Sydney, Royal Prince Alfred Hospital, and Sydney Adventist Hospital in Sydney, Australia. Professor Yan graduated from the University of New South Wales (UNSW) with Bachelor of Science (Medicine), Bachelor of Medicine and Bachelor of Surgery. He also completed three postgraduate higher degrees, Master of Surgery (USyd), Doctor of Medicine (UNSW) and Doctor of Philosophy (UNSW). He was trained at Royal Prince Alfred Hospital and St Vincent’s Hospital in Sydney and then obtained Cardiothoracic Surgery Fellowship from the Royal Australasian College of Surgeons. Following advanced surgical fellowships in the United States, England, Scotland and Germany, he specializes in minimally invasive cardiovascular surgery, and minimally invasive thoracic surgery. He has authored or co-authored more than 250 articles and textbook chapters, with an h-index of 41 and approximately 6,700 citations. He is the Chairman of the Collaborative Research (CORE) Group responsible for establishing and organizing the world’s largest multi-institutional Aortic ARCH Registry, consisting of more than 14,000 patients. He is also the founder and the Editor-in-Chief of the Annals of Cardiothoracic Surgery. 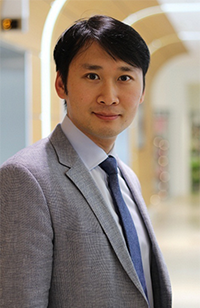 Professor Tristan Yan is dedicated to surgical innovations and known for his pioneering techniques in minimally invasive aortic surgery (i.e. Mini-Bentall Procedure). By reducing surgical trauma, he strives to achieve a more rapid and comfortable recovery for his patients. He first completed his general surgical fellowship with Dr. Paul Sugarbaker in the United States, one of the most prominent surgeons in the world. He was then closely trained by the pioneer of Minimally Invasive Thoracic Surgery, Dr. William Walker, in Edinburgh, where he mastered the technical expertise of video-assisted thoracoscopic surgery (VATS) to perform complex lung resections. He underwent a comprehensive Aortic Surgery Fellowship Program at the Liverpool Heart and Chest Hospital, the largest Aortic Surgery Center in the UK, where he was trained primarily on minimally invasive aortic valve replacement, root, arch and descending thoracic aortic surgery. He was then mentored by Professor Fred Mohr, Professor Michael Borger and Professor Martin Misfeld on Minimally Invasive Cardiac Surgery in Leipzig, Germany, where 4000 VATS mitral valve surgery has been performed to date. Professor Tristan Yan has authored or co-authored more than 250 articles and textbook chapters, with an h-index of 41 and approximately 6,700 citations. He aims for the highest integrity towards clinical data, as he strongly advocates evidence-based medicine, rigorously pursues high-level evidence, continuously publishes research articles in high-impact journals, and actively promotes wide dissemination of research information in a timely, accurate and scientific manner. Professor Yan is the founder and Editor-in-Chief of the Annals of Cardiothoracic Surgery (ACS). 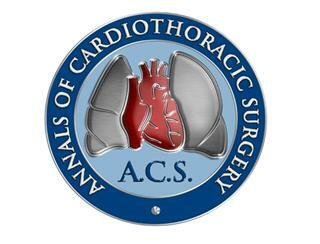 This journal reflects his unique vision in cardiothoracic surgery, in that ACS is a comprehensive video resource of cardiothoracic surgical procedures that truly embraces today’s technological and multimedia environment. The innovative format is further epitomized by its highly scientific Systematic Review and Meta-analysis and richly illustrated Art of Operative Techniques sections. As the pioneering format of ACS has not been seen in any other surgical journals, its themed issues, accompanied by video articles from leading surgeons, may become a model for future surgical journals. 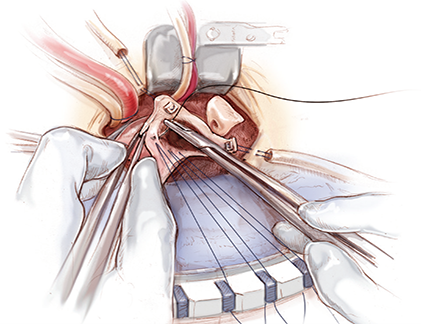 The uniqueness of ACS offers an unparalleled insight into cardiothoracic surgery. ACS has been accepted for inclusion by PubMed Central. Professor Yan’s research team is among the most productive in the world for clinical research and evidence synthesis in surgery, with a specific focus on cardiovascular and thoracic surgery. He has personally trained each member of his team in systematic review, meta-analysis, propensity score analysis and academic writing. This highlights the coherence and efficient collaboration between his team that he has personally fostered. He also providesmentoring to the junior surgical registrars, preparing them for the next level of their clinical responsibility.